… yes, now we’ve found a new thing we’ve fallen in love with and couldn’t do without. 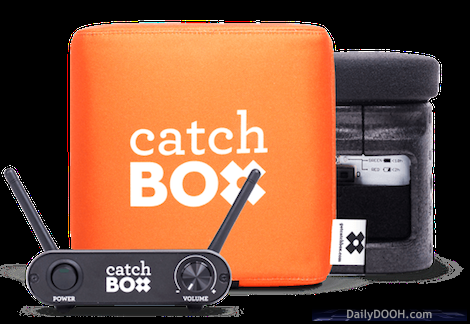 In a strange quirk of fate, the Catchbox, the world’s first soft throwable microphone was used at the VentureFest event we attended the week before #ISE2017 and then, surprise, we actually saw them exhibiting at #ISE2017. This entry was posted on Wednesday, February 15th, 2017 at 16:12 @717 and is filed under Scuttlebut. You can follow any responses to this entry through the RSS 2.0 feed. You can leave a response, or trackback from your own site.